Dean Smith, president of Flight Centre USA, which recently acquired two large US travel companies, Liberty Travel and GoGo Travel in fact expressed that 2011 would be one of the brightest years ever for Jamaica's travel industry. The company manages approximately US$11 billion in travel spend per year and has over 13,000 employees in 11 countries worldwide. It is among the biggest providers of room nights in the Caribbean. The Australian-owned company is based in New York, where its sells wholesale travel packages to the tour companies and travel agents, who then sell to tourists. Smith cited various reasons for his optimistic outlook one of which was the improvement in the economy within Jamaica that would lead to better prospects for increased bookings. In his words: "Our forward bookings in 2011 are extremely strong and we are excited about what is going to happen next year. I think the economy is clearly improving a little bit, that is clearly helping people make those decisions. We are seeing a little bit of a shift from Mexico to the Caribbean the continued security issues in Mexico seem to be influencing people's decisions." Smith also appreciated the tourism product in Jamaica and said that it was the reason for its popularity with the visitors. He said: "I think Jamaica continues to have the appeal, the atmosphere, the relaxed culture, the friendliness, the beaches, the warmth, the sand. Everything that Jamaica is famous for I have seen here." Steve Gorga, president at Travel Impressions, another wholesale travel company with 37 years in the business also endorsed the views of Smith and said that 2010 was the best year in its history for sending people to Jamaica because of the level of service offered here. The tourist infrastructure provided on the island ensures that the visitors have a unique, memorable and comfortable experience during their stay and that too at affordable prices. For example, the island offers a wide range of Jamaica accommodation options including Jamaica villas, cottages and apartments to suit all tastes, age groups, and budget. These independent units located near the Caribbean Sea or in tourist centres ensure that their guests have all the privacy, space and freedom to explore the island at their own leisure and pace. If you are planning your winter getaway to the island, you could do well to plan your accommodation far in advance so as to avoid disappointment. 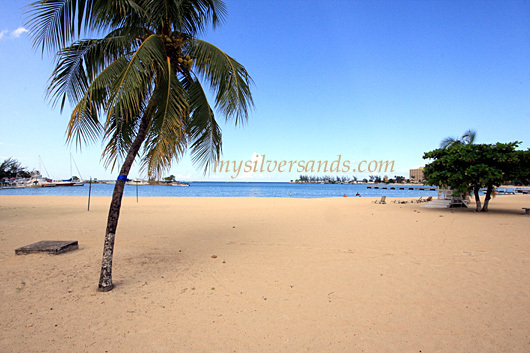 Browse through our Silver Sands Jamaica listings and book your ideal Jamaica rentals while there is still time.